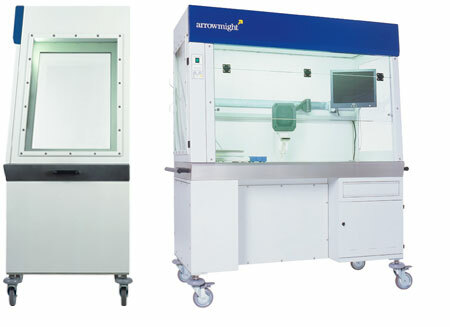 A Class II type Procedure Cabinet, which is the largest in the range. With negative pressure the working area is 1400mm (w) x 790mm (h) and 750mm (d). The APC 1.5 can accommodate either in-cabinet computer housing (tailored to fit your equipment) or a ‘safe change’ pivoting waste bin with a chute in the work surface. When installed correctly the APC1.5 conforms to BS EN 12469:2000.